With interactive gaming platforms developing at a rapid pace due to numerous technological advancements in recent years, software companies and payment processing services have had to follow suit and keep up with the pace. With an emphasis on gaming variety for a satisfactory player experience, some software providers have invested much hard work and dedication on their way to the forefront of the industry. ...with a renowned and established quality, functionality and accessibility of their gaming portfolio. The company has made it their mission to offer players with a most diverse selection of game types, formats and titles, packed with unique themes and features in combination with the top-notch casino provider bonuses and promotions for an overall rewarding player experience. The brand was first established back in 1996 in Sweden, following a rough period in the land-based gambling industry that saw the regrouping and restructuring of numerous existing companies at the time. The company was largely based on the investment made by Cherry, a slot provider for multiple international markets, thus explaining NetEnt’s dedication to improving and perfecting such products for their player pool. When first established, NetEnt had been one of the pioneering software providers to a novel industry of online gambling that had emerged from the creation of the Internet. The first online casino platforms and gambling sites saw a rising player traffic and massive popularity, which subsequently brought about the need for a more elaborate gameplay selection. ...NetEnt has made it their mission to equip leading online casino platform operators with only the latest online gambling action. This, in turn, launched the company among the top such ventures, and ultimately saw it get listed on the Stockholm Stock Exchange. The NetEnt game selection consists of all game types and formats that are currently available across iGaming platforms globally. This includes the standard game variety, as well as the latest live dealer casinos all optimized in terms of mobile compatibility with the leading operative systems Android and iOS. The game types developed by the team at NetEnt cover slots, video poker and table games, as well as specialty titles and progressive jackpots. Slots understandably make up the bulk of the game offering, with various formats providing classic, video slots, 3D animated slot products. Even without the numerous no deposit or welcome bonuses and player promos offered at the leading NetEnt casino sites, the range of themes, exclusive features and the high RTPs and jackpots are bound to make players rather happy with their choice of providers. Table and card games, on the other hand, focus on the format, offering variety in gameplay rather than theme and animation, even though such design elements are still tuned to optimally smooth gameplay. Roulette, blackjack and baccarat are among the most popular table game options, although players are likely to find craps titles and a few specific card game options further available in the NetEnt portfolio. Video poker is just as attractive a choice, with titles such as Deuces Wild and Jacks or Better which have practically entered iGaming history. Along with the specialty titles, NetEnt manages to retain player attention even when the standard game offering is not something they are looking for. ...NetEnt has introduced a special line of software products –live dealer casino games available both on PC and mobile devices which is an achievement in itself. The games speak for themselves, quite literally so considering that they are led by trained live dealers and croupiers. High-quality audio, video and broadcasting capabilities are guaranteed thanks to the latest equipment, software and broadband advances, ultimately managing to provide players with a real-life casino lobby experience straight from their digital device screens. 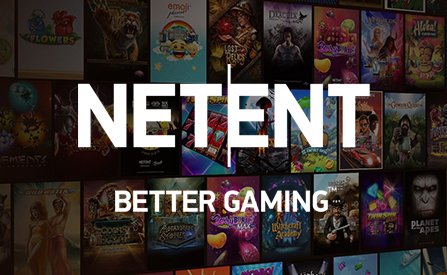 In the online casino and gambling community, NetEnt is a brand name indicating reliability, security and quality, optimized in terms of platform and stakes accessibility. The company’s game portfolio is available across multiple devices – PCs and laptops running on any of the major operating systems, as well as Android and iOS-operated portables. What is more, the titles feature stakes ranging from a quid or cent to amounts fit for any eager high-roller. Aside from the in-game features, their presence alone on a specific online casino site speaks volumes of the site’s player-oriented nature. However, there is more than one segment in which these operator platforms tend to excel. After all, the bonus offering at such sites is rather varied and accessible, proven by the presence of the offers. A No Deposit Bonus offer is quite the common occurrence at such top online casino sites powered by the developer. These bonuses are normally awarded to players upon signup before they have made their initial deposit to the player account. It is purposed to reward players for choosing the specific platform, and give them an opportunity to explore its real money game offering without spending their own hard-earned cash. Players can get informed regarding the games where they can make use of the extra cash or spins credited straight to their new player account. Considering the relatively regular releases from NetEnt, as well as the popularity of their established game products, most offers at NetEnt casinos center around this portion of their game selection. Other bonuses are also available at such NetEnt casino platforms, mostly expanding the game eligibility to cover all titles through their Welcome offers and promos. It is common for these reputable operators to include a Welcome Bonus offer or package for their player pool that would meet their initial deposit amount up to a specific percentage. Refer a friend promos, as well as reload bonuses are a common occurrence nonetheless, mostly covering the NetEnt platform’s full range of games that is in itself, rather generous. 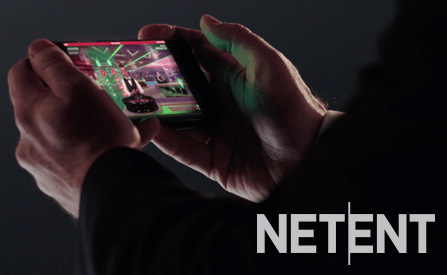 Can I play live dealer NetEnt games on the mobile? 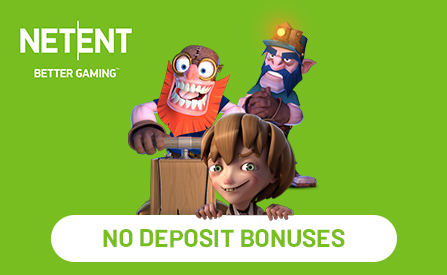 Are there any NetEnt casinos offering live dealer gameplay as part of their No Deposit Bonuses? Are there any No Deposit Bonuses that include NetEnt’s progressive jackpot slot titles among their list of permitted games? Yes, progressives can be listed as eligible games at the No Deposit Bonus’s terms, considering you are dealing with reputable NetEnt casinos. In this regard, it is important to mention that often, in an agreement between the provider and the casino platform, progressives are unable to land the jackpot when staked with such bonus credits instead of directly deposited cash. What are the standard wagering requirements for No Deposit Bonuses at NetEnt casinos? Can I play NetEnt games in multiple currencies? While this depends on the respective casino site’s Cashier section, most NetEnt casinos are well-equipped and tend to offer gameplay using multiple currencies.